From 18th-century covered markets fit for a queen to modern food co-ops dedicated to sustainable shopping, read on to discover the Irish markets you’ll want to get lost in. 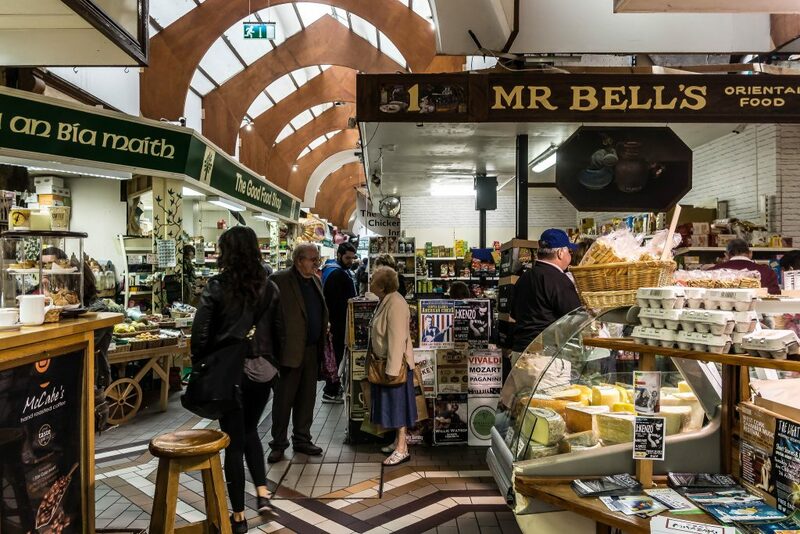 Cork city’s indoor English Market is arguably the best known and most popular food market in the entire country. As one of the world’s oldest municipal markets, dating back to 1788, it’s equal parts local amenity and historical attraction, even warranting a visit by Queen Elizabeth II on her state visit to Ireland. The emphasis here is on fresh produce: the vast majority of traders deal in meat, fish, fruit, vegetables and other perishables. There are also deli stalls serving sandwiches, cafés for enjoying a coffee and soak up the atmosphere and a smattering of stands selling art, crockery and other items. Don’t leave without cacio cavallo cheese from Toonsbridge Dairy, available from the Real Olive Company stall. Established in 1983 by a group that originally banded together to protest the building of a nuclear power station, the Dublin Food Co-op in Newmarket Square has developed into what its organisers call ‘a true food democracy’ by bringing organic, local, fair trade and sustainable products to the people of Dublin. The co-op hosts a different independently run market every Sunday: Pure Vintage, Fusion Market, Rumble in the Jumble and Dublin Flea Market. Dublin’s most popular market, the Dublin Flea, has been running for almost a decade. Its loyal customer base descends on the co-op every month to browse the new stock, which includes everything from secondhand furniture to vintage clothes and organic food. Don’t leave without a copy of the custom poster design for the latest Dublin Flea Market, created by a new artist each month. Limerick’s Milk Market dates back as far as 1852, when attempts were first made to consolidate the city’s wide array of separate markets into one main area. Today, the Milk Market on Mungret Street is still thriving and home to artisan traders selling the best local seafood, dairy products, preserves and other foodstuffs, as well as stalls of gifts, clothing, crafts and bric-a-brac. Saturday is the flagship market day, but the market is also open on Fridays and Sundays. In the evenings, the Milk Market doubles as an entertainment venue and hosts live music and events. Don’t leave without a home-baked bread from Country Choice. 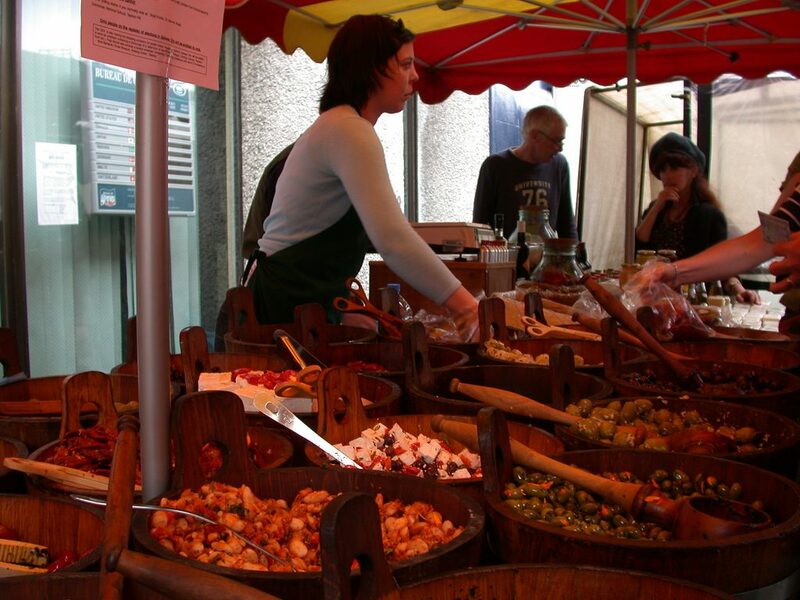 Every Saturday all year round, Galway’s street market on Church Lane by St Nicholas’ Church welcomes hundreds of stalls of arts and crafts such as handmade jewellery and prints and, of course, lots and lots of food. Fresh breads, falafel, the famous Sheridans cheese and much, much more call out to be tasted. A tourist highlight and local mainstay, the market is open all weekend in July and August, and all week long during Galway Arts Festival. Don’t leave without a BoyChik donut. Voted 2016’s Best Market in Observer Food Monthly Awards, the Victorian St George’s Market building in Belfast dates back to the 1890s, but a Friday market has been held on the same site since as early as 1604. 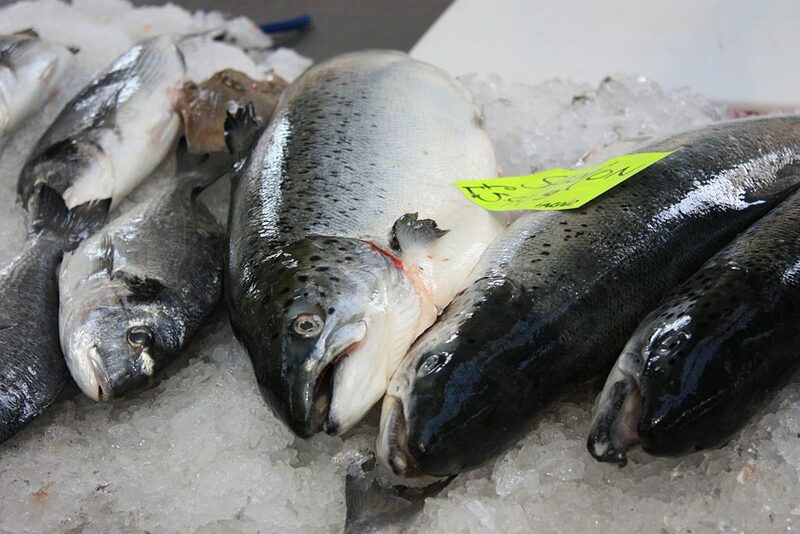 The Friday Variety Market boasts around 250 stalls and is known as one of the best retail fish markets in the country, Saturdays are for the City Food and Craft Market, and the Sunday Market blends the best of both worlds. A free market shuttle bus runs to and from the city centre regularly on Friday and Saturdays. St George’s also hosts several extremely popular evening Twilight Markets throughout the year, with live music and cooking demonstrations taking place alongside the standard markets. Don’t leave without a bowl of seafood chowder from Chowder Up! Based inside a hangar at Sligo Airport, the weekly Strandhill People’s Market brings together the local community that live in the coastal village of Strandhill, County Sligo, one of Ireland’s most beautiful and creative areas. This market is small but special, offering great food, well-made crafts, and even live music in its ‘Buskers Corner’. Don’t leave without a jar of wild thyme honey from The Irish Tea Company.